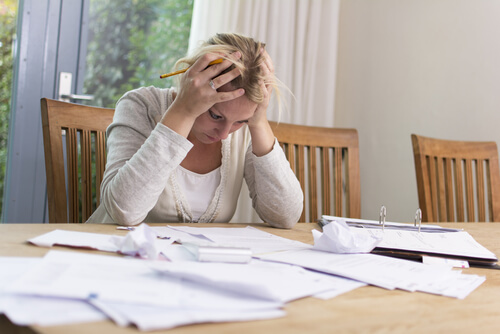 Low-cost bankruptcy can be an essential component to getting your finances under control. Most people file bankruptcy because the money situation has gotten out of hand. When facing bankruptcy, the last thing you want to do is spend your last dollar on the process. The good news is there are ways to find affordable bankruptcy solutions that will help ease your financial pains. 1. Cheap bankruptcy comes from finding an inexpensive and understanding lawyer. Take advantage of free consultations to get an idea of the services that different lawyers provide and a feel for their individual personalities. Take notes at your meetings or phone sessions and then take a few moments after each meeting to write down your feelings for how it went. You can use online tools and services to help match you to the bankruptcy lawyers in your area. 2. Cheap bankruptcy can come about if you consider doing it yourself. There are many resources you can use to help you prepare your papers and file for bankruptcy on your own. You could invest a little time at the library researching books on the bankruptcy process. You can take the time to surf the internet for the information that you need for your specific state bankruptcy procedures. You can also spend some money and buy a bankruptcy kit with completed sample forms as your guide to reduce the learning curve. 3. Cheap bankruptcy can be found when you combine the two steps above. You can ask the attorneys that you met with to prepare the legal documents for you and allow you to do the actual filing. Some lawyers will give discounts to clients who are willing to do some of the work on their own. This is something that you can bring up during your initial consultation. Keep in mind that an inexpensive bankruptcy fix may not be as cheap as you first imagine. Watch out for hidden costs, unexpected expenses or other financial obligations that can make the cheapest solution the most expensive choice. Research cannot be replaced by anything else. You have to take some time to research whatever path you want to take with a low-cost bankruptcy solution. The best idea is to spend a little time researching all your options. The time invested in research could mean hundreds saved in the long run. Look for a website that offers a free case evaluation. It will help match you with lawyers in your area. You can use that information to choose the lawyer that will guide you to your cheap bankruptcy or you can let the information go. Make sure to look for the “no obligation to hire” guarantee. It’s better if you don’t need to give any credit card information just to get you free case evaluation. Roilee Mandeville maintains a website dedicated to information on how to quickly find cheap bankruptcy lawyers in 10 minutes or less. You will learn a better way to research, compare prices and services when you visit http://www.BankruptcyLawyersAndAttorneys.com/ today. For a limited time he’s also giving away FREE e-books about saving money, debt, and a bankruptcy audio guide to help debtors deal with their financial problems. The free download will only be available for a few days so hurry and get them now!